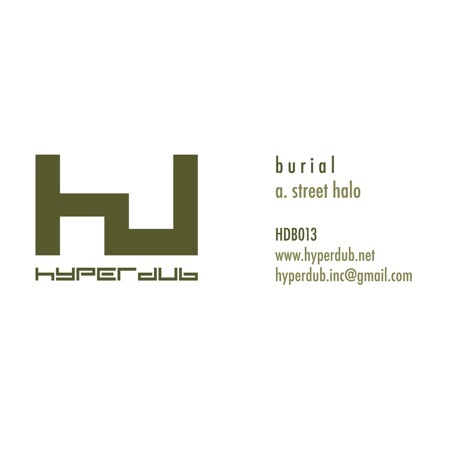 Check Out: Burial's first single in four years, "Street Halo"
Burial‘s unexpected musical resurgence will continue next week when the UK electro god drops his first new single in four years. On the heels of his surprise collaborative single with Radiohead’s Thom Yorke and Four Tet, Burial (born William Bevan) will release a 12″ entitled “Street Halo” on March 28th through Hyperdub, reports The Wire. The single will be backed by two b-sides: “NYC” and “Stolen Dog”. The single is now available for pre-order on Boomkat, Bleep, and Rough Trade. An audio preview is said to be forthcoming compliments of DJ Kode9.